A Large plush. Exclusive to Toys R Us. Please Read :Payment:I accept Paypal only and payments are due within 3 days after winning the bid. Her clothes are not removable. She is wearing a velour coat and hat. Her white muff has a silvery snowflake embroidered on it. Her tan yarn hair is braided. A Plush Doll. Slight wear. great used condition. 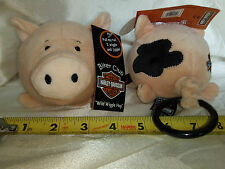 Up for sale is an Animal Alley Plush German Shepherd Brown & Black Stuffed Dog. They are 16" long from the tip of their nose to the end of their tail. 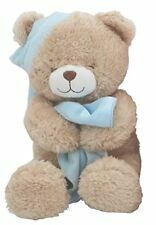 New ListingAnimal Alley Toys R Us Plush Moose with Scarf Mint Condition 10"
New ListingAnimal Alley Toys R Us Plush Stuffed Puppy Dog with Scarf Mint Condition 10"
ColorfulAlastair 10 " Stuffed Plush Fuzzy Fiesta Toy. Bright Neon Colors include Hot Pink, Blue, Green and Yellow. Animal Alley Pucker Fish Plush Toy 14" Stuffed Animal Blue Soft 2000 Toys R Us. This is due to a number of factors such as; lighting, different monitor resolutions and/or cell phone screen resolutions. Toys R Us Animal Alley Stuffed Plush Beanie Gray Mouse Stuffed Animal Rare 6"
(This Grey Mouse is from the Toys R Us Animal Alley collection, he is approx. The mouse is plush and bean filled :) He has hard plastic eyes. The toy is in excellent used condition with a lot of fun left in him and is clean and ready for use. The word is 3 strikes and you're Out! From the Aquatic Collection. ANIMAL ALLEY. WITH BLUE SPARKLY EYES, NOSE, EARS & FEET. TIE DYE BEAR PLUSH. RARE AND HARD TO FIND! Animal Alley Snow Leopard Jungle Cat Jaguar Stuffed White Cub Soft Plush Toy 19"
It is a Snow Leopard. My son has Asthma & I would never put another child at risk for an attack. Great used condition: Has a light flaw or more than a little piling, wash wear, fading, etc. Good Used condition: Has a major flaw, very used, lots of piling, wash wear, fading, etc. ANIMAL ALLEY Bunny Rabbit Plush By Toys R Us Great for EASTER. Condition is Used but has no stains or holes. Disney Winnie the Pooh Friend Piglet Plush Stuffed Animal Toy W/ Slippers 14"
(Piglet is in great used condition with a lot of fun left in him, he is clean and ready for use. He is approx. 14" tall and has his blue slippers on his feet :). however I don't get every nook and cranny. 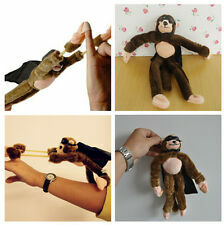 The Flying Monkey is launched like a slingshot by holding his stretchy arms and pulling back his feet and tail. 1 x Slingshot monkey. Makes a screaming sound. Flies up to 50 feet. Flying Monkey. Preowned stuffed plush cream white bunny rabbit soft toy from Toys R Us and by Animal Alley. Satin material on ears and feet. Atico International Toy. 6" Stuffed Plush Pony. White fur with black spots. Yellow White Plush Bear Rattle Lovey. Animal Alley. 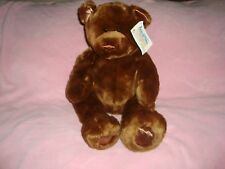 My 1st Teddy Bear. Good Condition. Animal Alley Unicorn Toys R Us Blue Pink Purple Plush Butterfly Stuffed 14"
Animal Alley Unicorn. Ribbon with butterfly on chest. Pink, purple and blue. Toys R Us Exclusive. Toys R US. size 15"L nose to tail. Nose to tush 11". VG condition. It is a golden retriever or a lab. 16in from nose to the tip of the tail. Great used condition: Has a light flaw or more than a little piling, wash wear, fading, etc. My son has Asthma & I would never put another child at risk for an attack. It is a Yorkie! CUTE dog from Animal Alley! My son has Asthma & I would never put another child at risk for an attack. Great used condition: Has a light flaw or more than a little piling, wash wear, fading, etc. Wearing a black Collar. 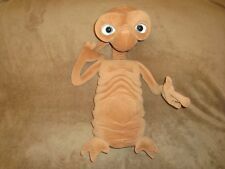 Stuffed Animal 2000. Very soft and features vibrant green eyes. Knit Sock Monkey by Dan Dee. Toys R Us ANIMAL ALLEY Fluffy Orange/White Kitty Cat Kitten Stuffed Plush 9”. Condition is New. Shipped with USPS First Class Package. 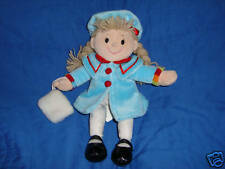 ~ Animal Alley Bunny Rabbit Plush Toy ~. From Animal Alley's Big Foot Series. An Adorable Bunny Plush to Love. Well Made Quality Plush. Big Eyes, Pink Lined Ears and Foot Pads. Toys R Us Animal Alley Cat Plush Tortoise Calico Himalayan Brown Stuffed Doll 9"
Animal Alley. Need your item sooner?. No problem! Pre-owned Animal Alley White Seal Soft Plush Toy. It is in Very Good and Clean condition. Animal Alley Cuddly Plush Brown Tan Darby Hound Dog Puppy Retired Toys R Us 13"